Individual air conditioning cold / Heat and Heating. Securized Internet connection: fiber optic, wired and Wi-Fi. We have a Full reception where we welcome your visits according to your instructions. A) Yes, the image of your company is strengthened. Various common areas and hopes where your visitors are served professionally qualified personnel. The center is fully adapted to the accessibility standards. Efficiency: Our concept of Office By Day allows you to focus on your work, leaving in our hands all the logistics required. Image: With a professional reception will welcome your visits according to your instructions. 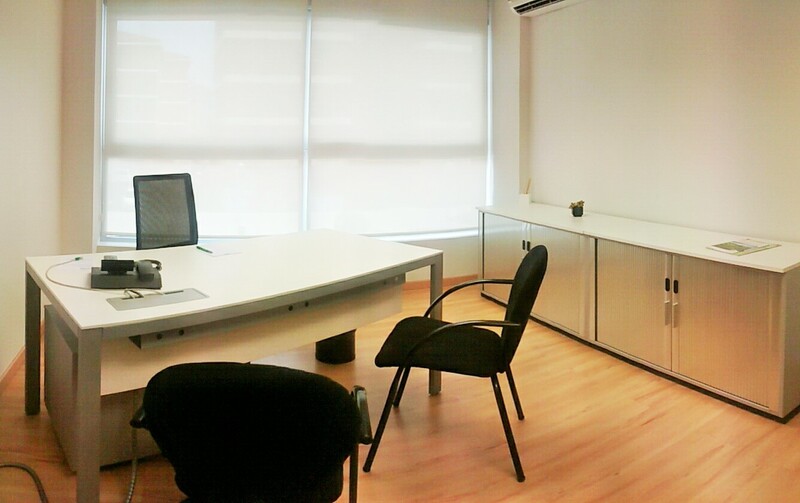 Comfort: We have contributed our experience from 1990 in our offices, specially designed for your comfort. Location: We are strategically located in the best area of ​​the city: Easy access from outside the city, easy parking, services. Details: Welcome coffee, mineral water ... we want to make your stay a pleasant experience Klammer. Test it… Sure you repeat! This has been done over 1.500 companies and professionals. © 2019 KLAMMER Business Centers. All rights reserved.